You register for a hackathon. You wait for weeks in anticipation. You wonder what you'll work on. The day arrives, but you're only given 30 minutes to find a team. Your team spends hours figuring out what each of you can contribute and what interests you share. 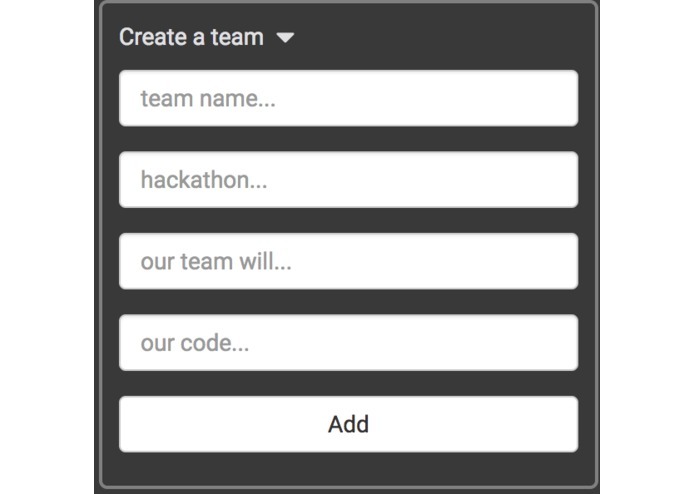 A lightweight web-app with a single goal: make it easy to search, create, and manage hackathon teams. 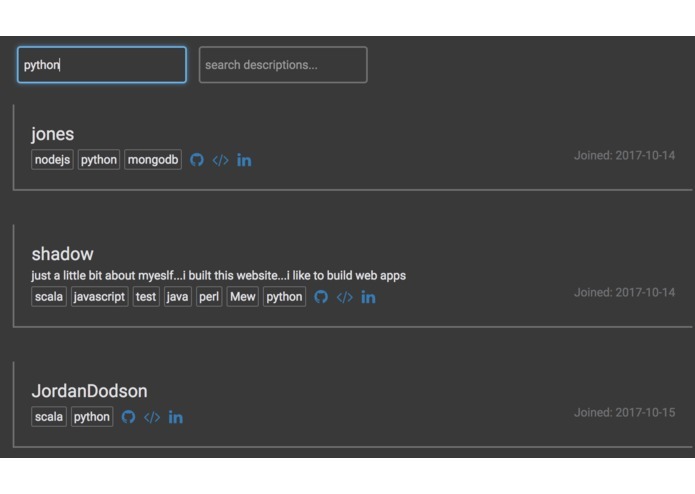 Users can add their skills and search for teams in need of their expertise. Anyone can create a team and no one gets left out. 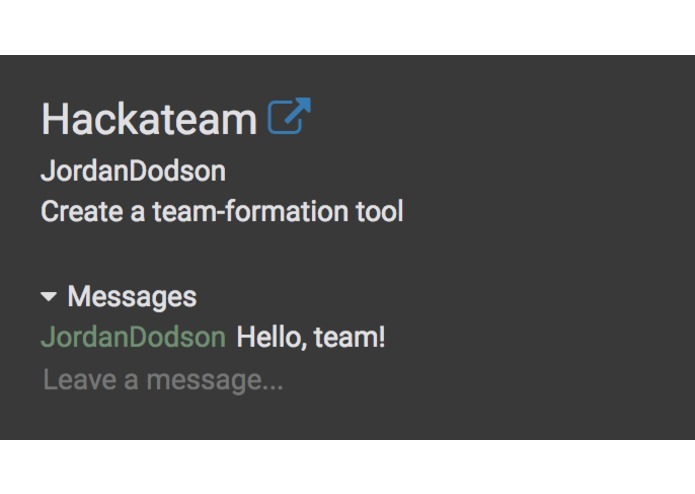 Once you join a team, start sharing ideas right away without having to leave the app. Web scrapers to gather info on hackathons and hackers...a neural net to create the perfect teams. I pitched the idea to our team and built the web-app from scratch! 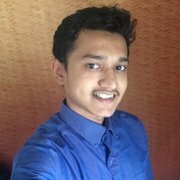 The front end, the application logic, the database. Let's use tech to better understand ourselves. 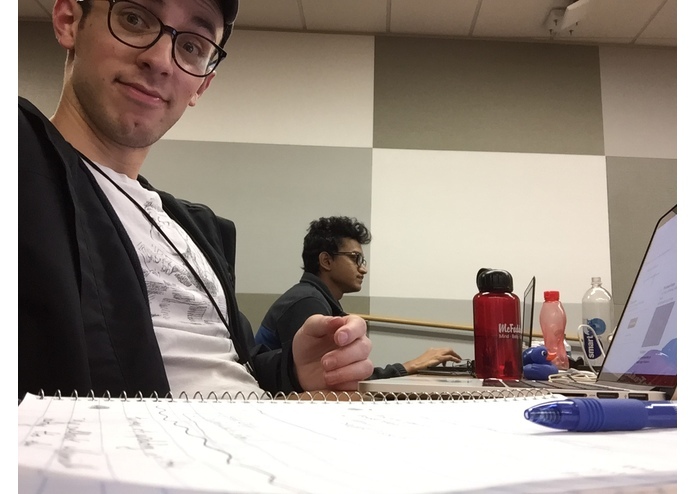 We finished in the top 8 (out of ~200 teams) at HackGT 2017!!!! !